To view a print version, click here and here. To view the entire memo in html, click here. I am an attorney in Washington State where assisted suicide is legal. Our law is based on a similar law in Oregon. 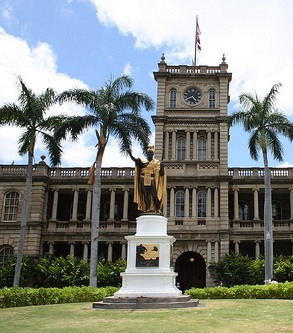 Both laws are similar to the proposed act in SB 1129 SD 2. The proposed act seeks to legalize physician-assisted suicide and euthanasia as those terms are traditionally defined. The act calls these practices “aid in dying.” This is misleading. “Eligible” persons may have years or decades to live. The act is also sold as a promotion of patient choice and control, which is not true. The act is stacked against the patient and a recipe for elder abuse. I urge you to vote “No” on SB 1129 SD2. [The doctor] provides sleeping pills and information about the lethal dose, while aware that the patient may commit suicide. 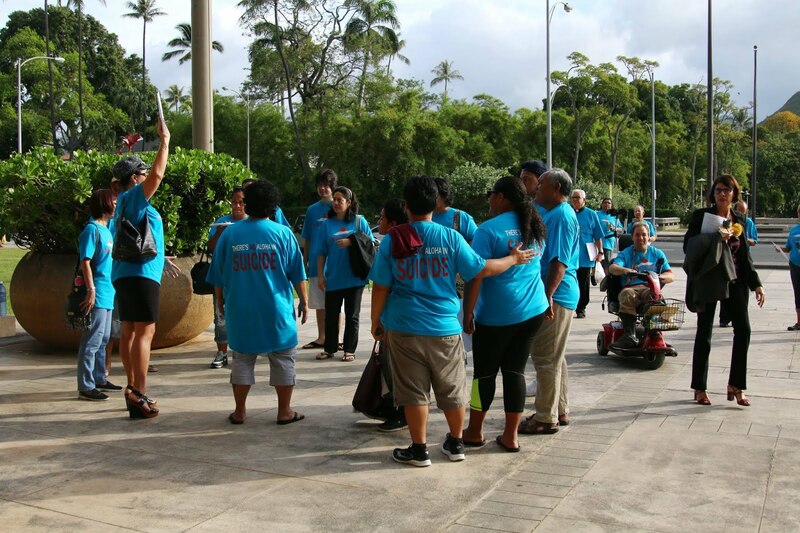 Elder abuse is a problem in Hawaii and throughout the United States. Perpetrators are often family members who start out with small crimes, such as stealing jewelry and blank checks, before moving on to larger items or to coercing victims to change their wills or to liquidate their assets. [These men] sought companionship and found instead someone who siphoned their savings, slipped drugs into their food and, in the case of one man, ran him over . . . and left him dead on a dirt road. [Victims are] afraid that if they report, the abuse will get worse. Persons who assist a suicide or euthanasia can have their own agendas. For an Oregon example, there is the Thomas Middleton case. Two days after he died of physician-assisted suicide, his trustee sold his home and deposited the proceeds into bank accounts for her own benefit. She was charged with fraud, but the case did not go forward. Middleton’s son was dismayed with the outcome. Oregon and Washington legalized physician-assisted suicide by ballot measures in 1997 and 2008, respectively. Since then, just three states and the District of Columbia have passed similar laws (Vermont, California and Colorado). These laws also allow euthanasia. In the last six years, five states have strengthened their laws against assisted suicide: Arizona, Louisiana, Georgia, Idaho and Ohio. Last year, the New Mexico Supreme Court overturned a lower court case recognizing a right to physician aid in dying, meaning physician assisted suicide. Physician-assisted suicide is no longer legal in New Mexico. The act has an application process to obtain the lethal dose, which includes a written lethal dose request form with two required witnesses. One of the witnesses is allowed to be the patient’s heir who will financially benefit from the patient’s death. After the lethal dose is issued by the pharmacy, there is a complete lack of oversight. No doctor, not even a witness, is required to present at the death. When signing a will, having an heir act as one of two witnesses can support a finding of undue influence. Washington’s probate code, for example, provides that when one of two witnesses inherits under a will, there is a rebuttable presumption that the inheritance was procured “by duress, menace, fraud, or undue influence." The act’s lethal dose request process, which allows an heir to act as one of two witnesses on the lethal dose request form, does not promote patient choice. It invites coercion. [P]eople with chronic conditions are “terminal” [for the purpose of Oregon’s law] if without their medications, they have less than six months to live. This is significant when you consider that a typical insulin-dependent 20 year-old . . . will live less than a month without insulin. Such persons, with insulin, are likely to have decades to live . . . . (Emphasis changed). 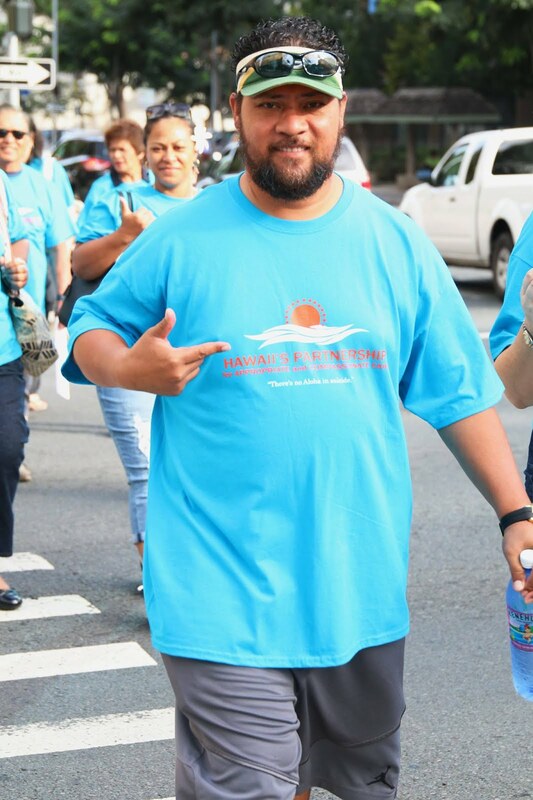 If Hawaii enacts the proposed bill and follows Oregon’s interpretation of “terminal disease,” assisted suicide and euthanasia will be legalized for people with chronic conditions such as insulin dependent diabetes. People who, with their medications, can have decades to live. The following information shall be supplied to the patient . . . prior to obtaining consent to a proposed medical or surgical treatment . . .
(4) The recognized alternative treatments or procedures,. . . and . . .
(6) The recognized benefits of the recognized alternative treatments or procedures. (Emphasis added). "Informed decision" means a decision . . . that is based on an appreciation of the relevant facts and after being fully informed . . . of . . .
With this language, the patient no longer has the right to be told of “recognized alternative treatments” and their “recognized benefits,” for example, to cure cancer. This is due to the rule of statutory construction, ejusdem generis. Per the rule, these specific alternatives, all having to do with death and dying, limit “feasible alternatives” to those involving death and dying. Patients no longer have the right to be told of “recognized alternatives” and their “recognized benefits” such as a cure for cancer. With the act, they lose that right. So much for empowering patient choice and control. The act does not require administration of the lethal dose to be voluntary. Similarly, the act does not require that the patient be capable or even aware when the lethal dose is administered. There is no language requiring patient consent to administration. Without these requirements, patient choice and control is an illusion. Generally accepted medical practice allows a doctor, or a person acting under the direction of a doctor, to administer medication to a patient. Common examples of persons who administer medication under the direction of a doctor, include: nurses who administer prescription drugs to patients in a hospital setting; parents who administer prescription drugs to their children in a home setting; and adult children who administer prescription drugs to their parents in a home setting. The proposed act allows a doctor to prescribe the lethal dose as part of his or her medical practice. The act also describes the lethal dose as being self-administered by the patient. There is, however, no language stating that administration “must” be by self-administration. With self-administration not mandatory, generally accepted medical practice allow a doctor or a person acting under the direction of a doctor to administer the medication (lethal dose). Someone else is allowed to administer the lethal dose to the patient. Nothing in this chapter shall be construed to authorize a physician or any other person to end a patient’s life by lethal injection, mercy killing, or active euthanasia. Actions taken in accordance with this chapter shall not, for any purpose, constitute suicide, assisted suicide, mercy killing [another word for euthanasia], or homicide. (Emphasis added). If for the purpose of argument, the act does not allow euthanasia, patients are nonetheless at risk to the actions of other people. This is due to the complete lack of oversight at the death. Without oversight, the opportunity is created for someone else to administer the lethal dose to the patient. The drugs used are water and alcohol soluble, such that they can be injected into a sleeping or restrained person. Even if the patient struggled, who would know? With assisted suicide laws in Washington and Oregon [and with the proposed act], perpetrators can . . . take a “legal” route, by getting an elder to sign a lethal dose request. Once the prescription is filled, there is no supervision over administration. . . . [I]f a patient struggled, “who would know?” (Emphasis added). The death certificate shall list the terminal disease as the immediate cause of death. (Emphasis added). The significance of requiring a terminal disease to be listed as the cause of death is that it creates a legal inability to prosecute: The official legal cause of death is a terminal disease (not murder) as a matter of law. Actions taken in accordance with this chapter shall not, for any purpose, constitute suicide, assisted suicide, mercy killing, murder, manslaughter, negligent homicide, or any other criminal conduct under the law. (Emphasis added). For an example of how “accordance” is interpreted in practice, see Section L below regarding Washington State. 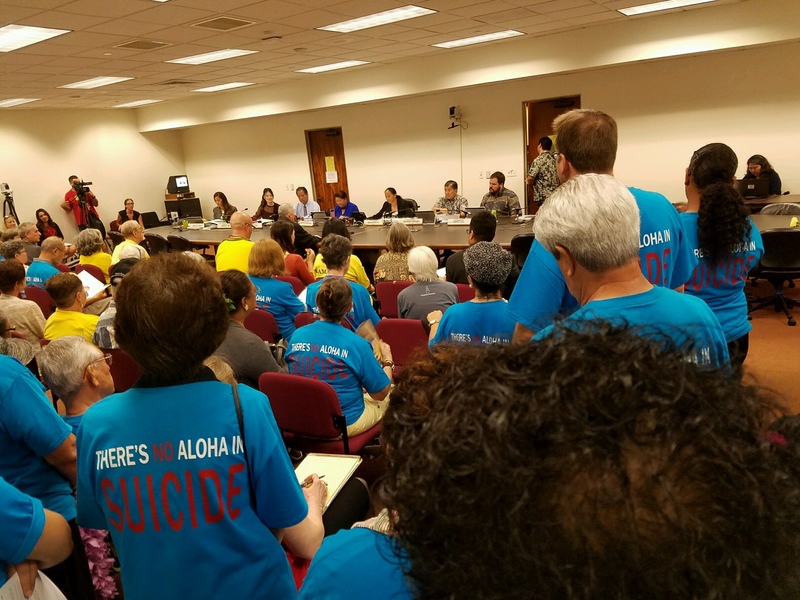 If Hawaii enacts the proposed act and follows Washington State, death certificates will not even hint that the actual cause of death was assisted suicide or euthanasia. This will happen as long as the act was “used” and regardless of whether there was compliance with other act provisions. There will be an official legal cover up. The bill’s passage is being spearheaded by the suicide advocacy group, Compassion & Choices. In 2011, Humphry was the keynote speaker at Compassion & Choices’ annual meeting in Washington State. He was also in the news as a promoter of mail-order suicide kits. This was after a depressed 29 year old man used one of the kits to kill himself. Compassion & Choices’ newsletter, promoting Humphry’s presentation, references him as “the father of the modern movement for choice.” Compassion & Choices’ mission is to promote suicide. In the other case, it’s not clear that administration of the lethal dose was voluntary. A man who was present told my client that my client's father had refused to take the lethal dose when it was delivered, stating, "You're not killing me. I'm going to bed," but then he (the father) took it the next night when he was intoxicated on alcohol. The man who told this to my client subsequently changed his story. A person who coerces or exerts undue influence on a patient to request medication for the purpose of ending the patient’s life, or to destroy a rescission of the request, shall be guilty of a class A felony. (Emphasis added). The act allows the patient’s heir to be one of two witnesses on the lethal drug request form, which as noted above can provide proof of undue influence. How do you prove that undue influence occurred when the act does not define it and the act also allows conduct used to prove it? You can’t. The felony for undue influence is illusory, contradictory and unenforceable. The proposed act is sold as completely voluntary, but does not even have a provision requiring administration of the lethal dose to be voluntary. Administration of the lethal dose is allowed to occur in private without a doctor or witness present. If the patient objected or even struggled, who would know? Don’t make Oregon and Washington’s mistake. I urge you to vote “No” on SB 1129 SD2. AMA Code of Medical Ethics, 2016, Opinion 5.8, “Euthanasia,” attached hereto at A-5 (lower half of the page). Nina Shapiro, “Terminal Uncertainty — Washington's new 'Death with Dignity' law allows doctors to help people commit suicide — once they've determined that the patient has only six months to live. But what if they're wrong?,” The Seattle Weekly, 01/14/09; article at A-6, quote at A-8. Met Life Mature Market Institute, supra. Cassie Williams, CBC News, “Internet Black Widow Melissa Ann Shepard arrested in Halifax,” April 12, 2016, attached hereto at A-9 & A-10. Yanan Wang, “This 80-year-old ‘Black Widow,’ who lured lonesome old men to horrible fates, is out of prison again,” The Washington Post, March 21, 2016. (Attached hereto at A-11 through A-13). State of Hawaii Executive Office on Aging, supra at note 7, page 5. KTVZ.com, “Sawyer Arraigned on State Fraud Charges,” updated July 14, 2011. (Attached hereto at A-14). KTVZ.com, “State dropping Tami Sawyer fraud case: DOJ says prosecution likely would not add time behind bars,” updated October 30, 2013. Consider, for example, Washington’s law, which was sold to voters as assisted suicide in which a patient would “self-administer” the lethal dose. In Washington’s law, the term, “self-administer” is specially defined to allow someone else to administer the lethal dose to the patient, which is euthanasia. Cf. Margaret K. Dore, "'Death with Dignity': What Do We Advise Our Clients?," at A-16 to A-18. Morris v. Brandenburg, 376 P.3d 836 (2016). (Excerpt attached at A-23). The form can be viewed at SB 1129 SD 2, Section 2, § -23, attached hereto at A-126 to A-128. The witness section can be viewed at A-128. See SB 1129 SD 2 in its entirety, attached hereto at A-101 to A-132. Wash. Rev. Code Ann. § 11.12.160(2), attached hereto at A-24. SB 1129 SD 2, Section 2, §§ -1 & 2, attached hereto at A-105 to A-106. Id., attached hereto at A-105, lines 19 to 21. Or. Rev. Stat. 127.800 s.1.01(12), attached hereto at A-25. Declaration of William Toffler, MD, ¶3, at A-26. See also Oregon’s annual report for 2015, attached hereto at A-34 & A-35 (listing chronic conditions, such as “chronic lower respiratory disease” and “diabetes mellitus” as underlying illnesses sufficient to justify assisted suicide). Toffler Declaration., ¶4, attached hereto at A-26 to A-27. See Jessica Firger, “12 million Americans misdiagnosed each year,” CBS NEWS, 4/17/14 (attached at A-36); and Nina Shapiro, supra, attached at A-6. Affidavit of John Norton, ¶ 1 (Attached hereto at A-37). Id., ¶ 4, attached hereto at A-38. Affidavit of Kenneth Stevens, MD, attached at A-40 to A-46; Jeanette Hall discussed at A-40 to A-41. Affidavit of Jeanette Hall, attached at A-47. Affidavit of Jeanette Hall, ¶4, at A-47. SB 1129 SD2, Section 2, § -1, page 4, line 11 to page 5, line 4. Attached hereto at A-104 and A-105. The act repeatedly uses the word “voluntary” in relation to a request for the lethal dose. The act does not require that administration of the lethal dose be voluntary. See the act attached hereto at A 101, A-102, A-106 to A-108, A-111, A-113 to A-114 and A-127. "Capable" means that in the opinion of a court or in the opinion of the patient's attending provider or consulting provider, psychiatrist, or psychologist, a patient has the ability to make and communicate health care decisions to health care providers. (Emphasis added). SB 1129 SD2, Section 2, § -1, attached hereto at A-103, lines 8-12. The attending provider shall: . . .
(ii) Transmit the written prescription personally, by mail, or electronically to the pharmacist, who will dispense the medications to either the qualified patient, the attending provider, or an expressly identified agent of the qualified patient. (Emphasis added). Generally accepted medical practice allows a doctor, or a person acting under the direction of a doctor, to administer prescription drugs to a patient. The act allows an attending provider, which includes a physician licensed to practice medicine pursuant to chapter 453, to prescribe the lethal dose. See: SB 1129 SD2, § -1 (defining “attending provider” as “a physician licensed to practice pursuant to chapter 453"). See also HRS §453-1 (defining the practice of medicine as including “the use of drugs and medicines”). See SB 1129 SD2 in its entirety, attached hereto at A-101 to A-132. Attached hereto at A-5 (lower half of the page). For definitions of “lethal injection” and “mercy killing,” see attachments at A-52 and A-53, respectively. The act, Section 2, § - 18, attached at A-117, lines 11 to 14. Id., lines 14 to 17. The drugs used for assisted suicide in Oregon and Washington include Secobarbital and Pentobarbital (Nembutal). See "Secobarbital Sodium Capsules, Drugs.Com, at http://www.drugs.com/pr/seconal-sodium.html and http://www.drugs.com/pro/nembutal.html See also Oregon’s government report, page 5, attached at A-34 (listing these drugs). SB 1129 SD2, Section 2, § -4(b), attached hereto at A-110, lines 18-19. SB 1129 SD2, Section 2, § -18, attached at A-117, lines 14 to 17. See the act in its entirety, attached hereto at A-101 to A-116. Definitions are attached hereto at A-54 and A-55. SB 1129 SD2, Section 2, §§ -4(b) & -18. A copy of the Washington State Department of Health death certificate instruction is attached hereto at A-58. See: “Declaration of Testimony” by Oregon attorney Isaac Jackson, dated September 18, 2012, attached hereto at A-57 to A-62 (regarding the run-around he got when he attempted to learn whether his client’s father had died under Oregon’s law - the Oregon Health Authority would neither confirm nor deny whether the father had died under the law); E-mail from Alicia Parkman, Oregon Mortality Research Analyst, to Margaret Dore, dated January 4, 2012, attached at A-63-A-64 (law enforcement cannot get access to information); Excerpt from Oregon’s website at A-67 (patient identities “not recorded in any manner”); E-mail from Parkman to Dore, January 4, 2012, attached at A-65 to A-66 (“all source documentation” destroyed after one year); and the "Confidentiality of Death Certificates" policy issued by the Oregon Department of Human Resources Health Division, December 12, 1997, attached at A-68 to A-69 (clarifying that employees failing to comply with confidentiality rules “will immediately be terminated”), as published in the Issues in Law & Medicine, Volume 14, Number 3, 1998. See also documents attached at A-70 to A-72. Ian Dowbiggin, A Concise History of Euthanasia 146 (2007)(“In 2003, [the] Hemlock [Society] changed its name to End-of-Life Choices, which merged with Compassion in Dying in 2004, to form Compassion & Choices.”). Accord. Compassion & Choices Newsletter attached at A-73 (“Years later, the Hemlock Society would become End of Life Choices and then merge with Compassion in Dying to become Compassion & Choices”). Compassion & Choices Newsletter, at A-73. Oregon Health Authority Report, Suicides in Oregon, Trends and Risk Factors (2012 Report), at A-78. SB 1129 SD 2, Section 2, § -20(b), attached at A-124. Again, see Washington State’s probate statute attached hereto at A-24).